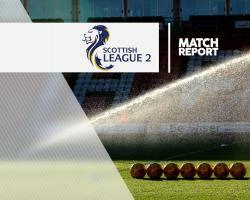 Sean Higgins and Chris Smith scored twice as Clyde claimed their first win in three matches with a 5-3 victory over Cowdenbeath. Clyde went ahead in the 13th minute when Smith converted Dylan Easton's cross but the scores were level on the half hour as Dean Brett netted from the penalty spot following a foul on Gary Glen. Higgins scored from close range in the 33rd minute and, although Brian Ross registered his first goal for Cowdenbeath, Craig Sives headed into his own net to give Clyde a 3-2 half-time lead. Higgins and Smith netted their second goals, in the 59th and 73rd minutes respectively, before an own goal from David Gormley handed Cowdenbeath a late consolation.